Apple has elaborated further and in greater detail on the hole-in-display solution to minimize bezels on "all-screen" phones. Some employ notches, some sliders, others trim the rims, and soon we may see small openings in the displays themselves that would house the front-facing paraphernalia, starting with the selfie camera. Huawei has such a patent, and Samsung already presented this type of screen as an O-type in its new Infinity line of displays. The Infinity O is even rumored to end up in the Galaxy S10, Apple may be prepping something in the same vein, or simply doesn't want to be left behind patentwise in case it decides to drill holes in its displays instead of using top bezel protrusions to house the Face ID kit. The fresh Apple patent's PDF has been unearthed by LetsGoDigital. It has been approved by the USPTO on November 8, but filed back in June, goes to great lengths to explain how it will all be done. While the patent mainly deals with the mechanics of drilling the cover glass in order to incorporate the front-facing camera's lens, it also mentions "or displays" in conjunction, inferring to cell phones while doing it. Thus, while under-display selfie snappers may be too big of a challenge for now, simply drilling a tiny hole or two in the screen package shouldn't be an insurmountable problem for companies of the Samsung or Apple rank, and we may see such flagships become mainstream as soon as 2019. If Apple indeed ditches the notch for this solution then, the irony won't be lost on all that copied this lazy design for no good reason, we hope. It was filed back in June, you didn't read the article at all. Why patent a hole on a display Apple. It's not like you make any displays or cameras, or hardware in general. It's all the other OEMs that make this stuff. 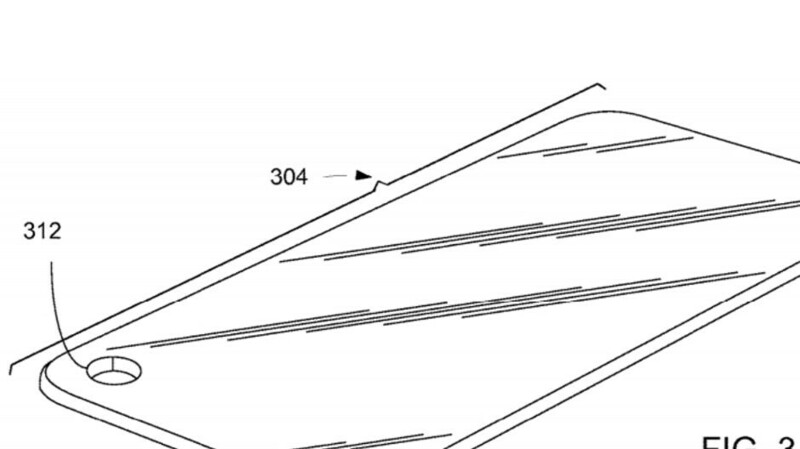 Apple patents a design and maybe a method to implement the design into a phone. Samsung Patent all kind of screen holes,https://sea.pcmag.com/news/19182/samsung-patent-tips-smartphone-display-with-sensor-holes (and so did LG https://twitter.com/UniverseIce/status/1060123495659593729/photo/1 ) Samsung show top-lefy hole in their Infinity-O on their recent event. But I'm sure other manufacturers can decide hole location when they order screen from Samsung. Read the article first. Then post comment. You can say Samsung copied Apple here because it was before even samsung showed this type display. I'm pretty sure Samsung patented this screen hole way before Apple filed this patent. Where's source of your "pretty sure" claim? Nate Diaz: "Oh $hit.... Let me go hide now...."
I'm saying that because I'm too lazy to google it. And it's just "make sense" to patent something before actually build it.. When was the patent made public though? If you're referring to the Samsung patent, Jan 2018. Rly for selfie camera? Or new iPhone? On patent is 3.5mm Jack. Apple has been spending too much on R and D that they even develop these kind of displays before other OEM’s, same with their foldable phones. Regardless of hardware similarities, the software will make it different from the others. Just like how good their gestures is compared to android. And also their trackpad compared to windows. Samsung patent was filed in May 2017, a year before Apple even filed. So do tell how Apple is developing things ahead of others? Because it's Apple.. What else? I wont defend any kind of notch. If you need a notch of any kind, you failed at design. But for the asshats above who think Apple was innovating first is just hilarious (not that any of this is innovation at this point). If anyone can help. Pull off display holes it's apple. Their devs will work around it like the notch.